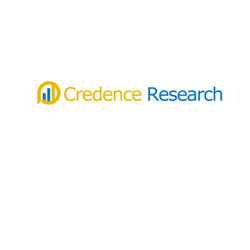 According to a new market research report published by Credence Research “RFID Inlays Market – UHF, HF and NFC; By Type – Wet and Dry; By End-use Industry: Apparel and Retail; Pharmaceutical and Healthcare; Transportation and Logistics; Industrial Manufacturing; Automotive; Personnel Identification and Others) – Growth, Future Prospects, Competitive Analysis and Forecast 2017 – 2025”, the global RFID inlays market is expected to witness significant growth in the following years. RFID inlays have offered an effective solution to various stakeholders from numerous industries to effectively track, locate, identify and authenticate objects. One of the largest applications of RFID inlays is in the apparel and retail industries wherein the organizations can make use of various wet or dry inlays and incorporate them into product labels for effective identification. Furthermore, RFID inlays have been gaining popularity in the medical industry wherein pharmaceutical companies have been incorporating RFID inlays onto various prescription and over the counter drugs. The use of RFID inlays has offered a viable solution for pharmaceutical companies to effectively tackle with issues such as counterfeiting, theft and inventory mismanagement. With the advent of RAIN RFID technology, the market has been experiencing a growing adoption of UHF inlays. Furthermore, innovative applications such as mobile payments and advertising with the use NFC inlays are further expected to drive the overall RFID inlays market in the following years. The global RFID inlays market is fairly fragmented with a large number of RFID solution providers offering various wet and dry inlays across the world. Some of the leading providers in the RFID inlays market include Avery Dennison, SHANGHAI RFIDHY TECH. CO., LTD., ZHANFENG SMART CARD CO., LTD., Invengo Technology Pte. Ltd., Alien Technology LLC, SMARTRAC N.V., CAEN RFID S.r.l., Confidex Ltd., SkyRFID Inc., Identiv, Inc. and HID Global Corporation. 11.2 SHANGHAI RFIDHY TECH. CO., LTD.
11.3 ZHANFENG SMART CARD CO., LTD.
11.4 Invengo Technology Pte. Ltd.
Kommentar hinterlassen on "RFID Inlays Market To Grow At A CAGR Of 22.1% During The Forecast Period From 2017 To 2025"